The name of the e-credit program is changing to better reflect the spirit of the initiative. As of the 5776 school year, it will be referred to as Tuition Support Points (TSP). In addition to the change in the name, some of the procedures and guidelines are being revised as well. Going forward, there will be two categories, Program A and Program B. Any shortfall by those designated months will be added to your Cheder financial obligation and your future monthly payments adjusted to reflect the increase. If you’re assigned a project based on a lump-sum payment (e.g., arranging the annual banquet), the Cheder will wait until the assignment is completed. If you do not avail yourself of all the TSP allocated, you will not be eligible to participate in the program to the same extent in the following year. As part of the financial obligation review, participants will be informed as to which program pertains to them, and a signature/confirmation will be required to indicate acceptance. 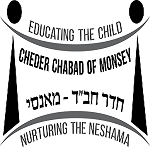 To show respect for your child’s mosad chinuch all parents participating in any school function, whether on or off Cheder premises, including carpool, must be properly dressed according to halacha. For women, this includes skirt length below the knee even while sitting (no slits or gym pants under the skirt); stockings or tights; necklines above the collarbone; sleeves covering the elbow; married women must have their hair completely covered with a shaitel. No hats or tichels, etc. Men must wear yarmulkas, a shirt and pants. No shorts. Friends or relatives who wish to participate in school functions should be asked to be respectful of our school policies as well.